Feds Want To Kick South Dakota Out Of The EB-5 Program. Proud Of Yourselves Governors Rounds And Daugaard? Will Somebody PLEASE Set Up An Independent Ethics Commission? elected officials festooned on the mess called EB-5, the federal authorities that oversee the "cash for green cards" program took a hard look at what actually happened to its operations under the auspices of SD government stewardship and decided (pending a response) our state should get kicked out EB-5 altogether. The official letter from the Department of Homeland Security, titled "Notice of Intent To Terminate," was sent to the South Dakota Regional Center in care of the Governor's Office Of Economic Development a few weeks ago. It gives SDRC until October 31 to submit "ALL evidence in opposition to the ground or grounds alleged in this intent to terminate" or the plug on the program gets pulled by the Feds. Given the multi-layered and interconnected chains of events and participants in this fiasco that lasted for several years, I'd be amazed if South Dakota officialdom could put together a comprehensive (note the letter demanding "all" evidence) case for the state. Just the same, the drop-dead date of October 31 has to be acknowledged, so the stripping of our state's relationship to the program still hangs in the balance, tenuous as I think it may be. More cogent though is the way DHS reiterated all the issues involving SDRC's mismanagement of the program contractually overseen by the Governor's office. Cory Heidelberger summarizes them well at Dakota Free Press. As you know, the Constant Commoner has been on this frequently since 2013--an effort that I feared was wasted until I got some vindication in the body of the termination notice. DHS broadly concludes that its termination decision is based on South Dakota Regional Center's failure 1)"to submit required information" and 2)that SDRC did not "serve the purpose of promoting economic growth." The specifics in the letter include phrases like 3)"failure to provide required information," 4) "failure to fully account for capital investments," 5)"conflicting information provided" in required filings, 6)"diversion of EB-5 funds from job creation purposes," 7)"lack of regional center due diligence, monitoring and oversight," 8)"investor complaints," 9)"violation of terms of escrow agreements," and 10)"material misrepresentations,"
carefully reviewing the link I provided. But as disgusting as I find all this to be, I'm appalled at the lack of investigatory muscle shown by the South Dakota legislature's Government Operations and Audit Committee at the close of its toothless hearings on this a year ago. GOAC's lack of determination to get at the truth of this matter is now embarrassingly highlighted by DHS's diligence and its decision to throw South Dakota out of the EB-5 investment program altogether. Will somebody please set up an independent ethics commission for this state? 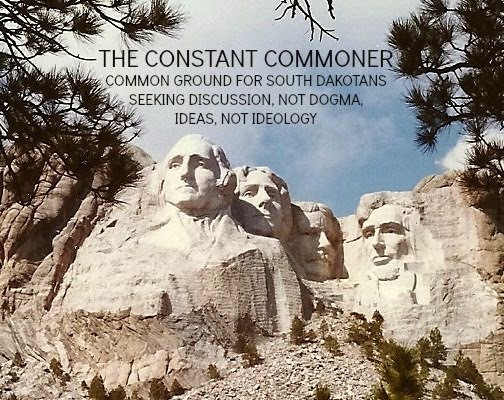 Before the Endangered Species Act should be reformed, South Dakota Governor Dennis Daugaard ought to be honest with himself and the citizens of our state about the underlying reasons why he finds the 1973 law problematic and dysfunctional in its present form. The Governor should also conduct an honest assessment of conditions and prospects in his own back yard before proselytizing that state governments have greater expertise and are more well equipped to administer a program as essential as the Endangered and Threatened Species program which also includes the framework for implementing the Congress in Trade in Endangered Species on a world wide scale. Governor Daugaard, nor any of the other members of the Western Governors Association, appear to have reviewed the results of several other polls conducted by other organizations, during the same time frame, which paint an entirely different picture of public opinion about the ESA’s function and necessity in the US. Polls conducted by groups such as “Center For Biological Diversity” http://www.biologicaldiversity.org/news/press_releases/2013/endangered-species-act-03-04-2013.html, “Defenders of Wildlife”; http://www.publicnewsservice.org/2015-09-30/endangered-species-and-wildlife/new-poll-colorado-voters-support-endangered-species-act/a48350-1, Earth Justice, and some other rather fringe environmental groups tend to reveal that all the political bloviating about ESA fixes are solutions looking for a problem. For further inquiry, one can absorb the results of this poll of wildlife professionals conducted by the Union of Concerned Scientists that unmistakably demonstrates that political meddling and influence into scientific processes is both unwelcomed and unnecessarily troublesome. https://www.hcn.org/articles/political-science. 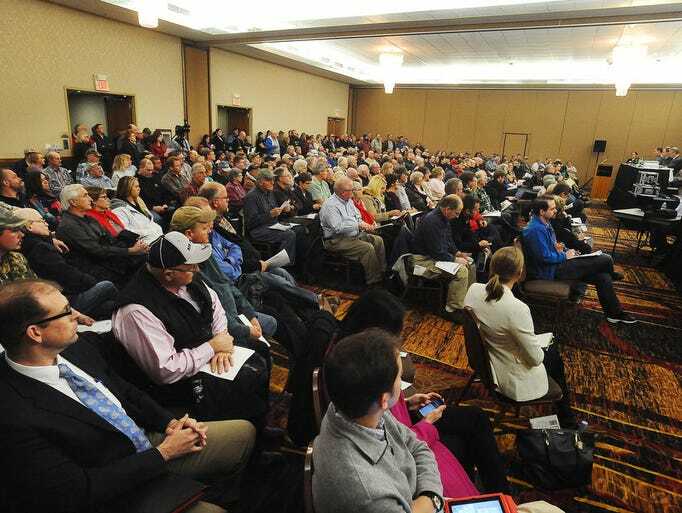 Americans and South Dakotans in particular should be acutely aware that there can be no such thing as a political solution to a biological or natural resource problem and since the WGA has been mentioned in a piece about revising the ESA, written by Governor Daugaard in the Rapid City Journal, (October 12, 2015) a rational person can reasonably conclude that the issue is political rather than environmental. Researching the WGA agenda, it is imminently clear what Governor Daugaards advocacy is really all about and it has very little to do with natural resources, the success or failure of endangered species regulatory policy, or anything of similarity. Hidden in all the politically inspired rhetoric is the issue of States Rights and one politician’s interpretation of the 10th Amendment vs. another’s. Revision of the Endangered Species Act isn’t the issue. The entire complaint about the ESA is a microcosm of the merciless political whine concerning the unsubstantiated and unproven claims of Federal Government overreach into the affairs of the individual states! It’s a commonly heard grievance wafting out of Representative Kristi Noem’s office as well as that of former Governor Mike Round’s and John Thune’s Senatorial chambers. The honest issue is who has control of the ESA and other Federal Acts along with the belief that the states can do a better job of management rather than Federal management application of those laws in the several states. Disregard the Bald Eagle and a scant handful of other species recovered under the Endangered Species Act. No mention of where the funding for all that comes from or might come from! The bickering and political jousting also avoid any discussion about the purpose for the Endangered Species Act. In a nutshell, the ESA is nothing more than an early warning system; similar to the “canary in a coal mine” principle, that should show the citizenry and responsible leaders that there are things going wrong with the natural world we depend upon for our existence. We can continue to ignore or diminish the importance of species decline and disappearance (which also includes plants, reptiles, insects, [do bees mean anything to anyone] and aquatic organisms) or, under ESA guidelines and requirements, we can actively engage the science and begin the decades long process of trying to restore ecological balance to accommodate species recovery. Some may not remember but our distinguished Senator from South Dakota, John Thune, introduced an amendment to a federal spending bill that prohibited the US Fish and Wildlife Service from spending any additional money to gather and evaluate information related to the pending decision to list the Greater Sage Grouse as an endangered species. Senator Rounds, a known Federal regulation and management antagonist fully supported the measure. If that isn’t political tom foolery and meddling in a scientific process required by the ESA law, I don’t know what is. This sort of irresponsible political behavior isn’t just confined to the federal system. In reaction to the decision not to list the greater sage grouse, the USF&WS sister organization in the Department of Interior, the Bureau of Land Management, issued a Notice to Withdraw 10,000,000 acres of land in Idaho, Montana, Nevada, Oregon, Utah, and Wyoming from mineral entry. The notice indicates that the withdrawal is necessary to further protect sensitive sage steppe habitats in those states 6 states. South Dakota has a considerable amount of public land sage steppe habitat in Butte and Harding County. Why wasn’t important sage steppe habitat in South Dakota withdrawn from energy and mineral entry? http://www.minerallawblog.com/mining/mining-on-10-million-acres-in-six-states-impacted-by-blms-proposed-withdrawal/ That withdrawal is now being challenged in court by a collection of enterprises associated with the Energy industries. As a matter of explanation, the State of South Dakota Endangered, Threatened and Candidate Species listing contains 19 federally listed species of invertebrates, fishes, reptiles/amphibians, birds mammals and plants; 22 state listed species and 6 species that are both state and federally endangered or threatened. There are more endangered and threatened species identified by the State of South Dakota than by the Federal government in the Endangered Species Act. The Topeka Shiner appears on that list as both a federal and state listed endangered species. The State of South Dakota monitors the Topeka Shiner as a part of an active Management Plan promulgated by the SD Department of Game, Fish and Parks. In spite of SDCL 34A-8, the South Dakota Department of Agriculture has not contributed funding or program assistance in any of the efforts. Funding for the planning and monitoring program is paid for, in large measure, out of the US Fish and Wildlife Service budget with a small matching contribution from the state. Neither the state nor the Federal Government has recovery plan for the Topeka Shiner in SD because the species is currently, relatively stable and widely distributed in the state; a condition that likely stimulates the Governors complaint along with the stark reality it takes cooperation and modest funding from other states in the species range to produce a viable recovery plan. The same cannot be said for the species throughout most the rest of its range. Currently, habitat for the Topeka Shiner in South Dakota appears to be of good enough quality and quantity to maintain reasonable population densities. There is nothing in the management plan or in surface water management policy in South Dakota however; that guarantees that condition into the future. Given the current status of surface water issues in the state, (draining filling of wetlands, drain tiling, agricultural runoff and urban and agricultural pollution) it won’t take too many years to degrade the habitat for the species the same as it has in Kansas. In that regard, the Topeka Shiner is representative of a safeguard that could require the state to address problems of water quality, quantity and drainage that it heretofore hasn’t shown much interest in addressing. Additionally, should South Dakota’s Topeka Shiner population remain stable in the future, it is highly likely that it will be a source population from which reintroductions into former ranges can take place in other states; after habitat recovery has taken place, We can understand why the Governor labors over the absence of endangered species recovery plans! If authorities honestly felt they were important or relevant to species conservation, the state would have a library full to keep up with its own listings. To date, all we have are incidental monitoring of species that does nothing except illustrate a brief glimpse of species status and trend. Governor Daugaard also complains about the Greater Sage grouse listing process and suggests that the state and private landowners are in a better position, better qualified and more motivated to provide habitat for the species than the federal government. If that were factually the case, there would be ample evidence of state involvement in habitat development and species conservation ever since the Sage Grouse was listed but precluded in 2010. Factually, the State of South Dakota hasn’t spent one dime on the Greater Sage Grouse habitat development. Currently, the only habitat conservation and habitat program directed at the greater sage grouse is a federal program, initiated by the United States Department of Agriculture, entitled the “Sage Grouse Initiative” that pay’s private landowners to set aside acreage for sage steppe habitat recovery similar to the popular CRP program. The Nature Conservancy has also purchased tracts of land in western SD that will be managed to improve sage steppe habitat for sage grouse and other sage brush obligate species. The only thing that the State of South Dakota does or has done historically, is conduct a statistically incompetent survey of breeding male sage grouse in the spring; the data from which can’t, successfully be incorporated into a long term data set that would more accurately reflect a population trend that is estimated to have declined more than 70% since the early 1980’s. Comparing South Dakota’s sage grouse population information with that of Wyoming or Colorado as an example, it can be said with a great deal of accuracy that we have no idea what the status and trend of sage grouse populations are in the State and from that; if we have no realistic picture of what sage grouse populations look like, we have no ability to say if the species is or isn’t imperiled in the State. Among those on the list are the Brewer’s Sparrow and Sage Thrasher; two sage steppe obligate species whose existence is entirely dependent upon the quality and quantity of Sage steppe habitat anywhere within their range which includes parts of western South Dakota. These facts beg the question; as a sage brush obligate species like the previous two, why isn’t the sage grouse listed as threatened or endangered on the states’ list? If habitat was really an issue, why doesn’t the state have an active, reasonably funded program to restore and conserve the sage steppe biome in South Dakota? If the State and its private landowners are more qualified and prepared to develop and protect habitat for sage brush obligate species; why hasn’t it been done at the first sign of sage grouse declines in the 1980’s or since the Brewers Sparrow and Sage Thrasher were listed as imperiled well before the sage grouse was considered for federal listing as an endangered species. Further, why are the Sage Grouse and Topeka Shiner privileged with a management plan while most of the other species are only monitored periodically to determine status in the same habitat and have no habitat or population recovery plan? The State of South Dakota has an “All Bird Conservation Plan “that identifies priority species of concern in South Dakota. The plan presents habitat requirements for those species and identifies possible habitat management options. Serious, viable or comprehensive plans that actively attempt to perform those acts necessary for the conservation, management, protection, restoration, and propagation of endangered, threatened, and nongame species of wildlife as stipulated in SDCL 34A-6 are missing. To this author’s knowledge, the Bald Eagle is the only species listed as both State and Federally endangered in South Dakota that has been recovered and delisted. The State of South Dakota has never had a formal Bald Eagle Recovery Plan. The effort has been funded and implemented entirely by the Federal Government. Furthermore, whenever a species is listed, the federal government pays the lion’s share of the costs of the recovery program. A good example of that is the Black Footed Ferret recovery effort which South Dakota has obstructed for many years due to the mammals symbiotic relationship with prairie dogs, another species that has dwindled in numbers and distribution across its range in North America. The governor has no standing to complain about program costs when a species is federally listed. In the early 2000’s when the Western Association of Fish and Wildlife Agencies, were developing the Greater Sage Grouse Conservation Assessment and Greater Sage Grouse Conservation Strategy, State conservation plans and stakeholder groups were already functioning in Wyoming, Colorado, Idaho, and Washington to locate funding sources and develop large scale projects to preserve and enhance sage steppe habitat. South Dakota wasn’t one of those states in spite of research conducted by SDSU that confirmed habitat on the edge of the sage grouse range could be more productive and species diverse than that of the core located in Wyoming and Montana. During the Rounds Administration, it was well known by wildlife professionals in the state that concern for the status and trend of sage grouse and their habitat was limited to a handful of landowners and others in Western part of the state. The general attitude of the administration was; “We shouldn’t care if the species is threatened and may be possibly federally listed. If the “Fed” lists the species, it will be one less thing we have to pay for, so let them list it.” It will be the Fish and Wildlife Service’s problem then, not ours!” That was before the Bakken Oil Boom fully blossomed and state authorities became aware that it could spill over into Harding, Butte, Perkins and portions of Meade County thereby providing mineral royalty and severance tax windfall for cash strapped state and county governments. After those possibilities hit home, the attitude about a Sage Grouse listing as an endangered species changed. Listing the species would effectively bring significant change to oil and gas development, public land grazing ( Harding County has in excess of 500 square miles of land owned by the state and much of that land is primary sage grouse range. The State of South Dakota was the last state to produce a Sage Grouse Management Plan and that plan was not completed until long after the greater sage grouse was considered for listing in 2010. Every other state plan in the sage grouse range in the Western US was completed prior to 2006 and some plans, like those in Wyoming, Colorado and Idaho have only been in the implementation stage for less than 10 years. Other states are just barely into the implementation phases of their plans and neither North Dakota or South Dakota have implemented their plans at all. In fact, North Dakota’s population of sage grouse has nearly disappeared due entirely to oil and gas development, overgrazing and West Nile virus. Further, habitat plans and projects are set up to be monitored and measured annually and assessed for their value to the conservation effort. A project involving Sage Brush habitat improvement cannot measurably improve the sage steppe landscape for 6 years and some projects take longer than that. Successful sage brush reintroductions take up to 10 years to respond successfully and positive changes in grazing systems take a minimum of 3 years to measure. The only plans operational prior to 2010 were Wyoming, Idaho, Utah, and Washington. Pointedly, there is no evidence out there to date, to show conclusively, that state efforts to conserve and protect sage steppe and the greater sage grouse are sufficient to warrant delisting the species. Understanding that, one has to question the validity of the Governors Statement that the states have shown the Fish and Wildlife Service they are capable of restoring the species to viable numbers across the range. In this authors professional opinion, The Governor spins a web full technical holes. Which raises a highly relevant and yet unnoticed issue. When the US Fish and Wildlife Service reacted to petitions to list the Greater Sage Grouse prior to 2010, there were 13 states with sage grouse populations that were engaged together in conservation assessment and planning efforts. South Dakota and North Dakota were two of the 13. Now, according to both the Department of Interior and the Western Governors Association, there are only 11 states that will be involved in habitat conservation and recovery of the greater sage grouse across the range of those states. Specific states are not mentioned but it should be noted that the Department of the Interior and USDA Forest Service have withdrawn substantial acreages of public land from oil and gas entry and significant modification of grazing regimes in the Great Basin and adjoining states which represent the core of Sage Grouse range in the Western United States to help with sage grouse recovery plans. Since North Dakota’s population of birds is gone or nearly so any effort at trying to implement North Dakota’s plan would be futile. The only two states left on the fringe of their range are California and South Dakota. The reader can be the judge of which state will sell it’s natural heritage down the river in favor of short term oil and gas leasing and rapacious, poorly managed grazing management. Governor Daugaard indicates that State Government and South Dakotans know all about habitat development and understand the importance of wildlife habitat to our culture and economy. That might be partially true if one considers all the clamor over the loss of pheasant habitat in central and eastern South Dakota, the brouhaha of the Governors Pheasant Task Force, and the resultant legislative attempt at establishing a viable and perpetual fund for pheasant habitat development. It can’t be true much less honest if one considers that the Governor and the State Bureaucracy seem to ignore all other habitat types and species in South Dakota and blame federal law for trying to protect species and habitat that ultimately have been a neglected state responsibility for at least 40 years………….. There is absolutely nothing wrong with the Endangered Species Act or its purpose…… There is, however, something very wrong with the orientation and philosophy of Governors and state agencies that are unabashedly negligent in the stewardship of the public’s assets and their honesty and credibility to suggest repairs to laws and programs that aren’t broken! Governor Daugaard has stated on several occasions, including in an address to the South Dakota Legislature, that state leaders and the legislature need to practice better stewardship of South Dakota’s assets. While he was likely thinking about the state’s tax revenue, budget and public programs at the time, it’s not too late to remind him that South Dakota’s wildlife, wild lands, water, soil and scenic beauty are an equally valuable asset in the state’s inventory that deserves more than casual and cavalier attention. For many of us old timers, our quality of life is directly connected to those things and we’d like to pass that on to our kids and grand kids. John Wrede is a retired South Dakota Conservation Officer, Regional Wildlife Manager, and former Chairman of the Western Association of Fish and Wildlife Agencies Sage and Columbian Sharp-tailed Grouse Technical Committee with more than 20 years of training and experience in grouse and other wildlife monitoring and management. After retiring from SDGF&P in February of 2007 with 31 years of service to the State of South Dakota, he worked as a Biological Research Technician for the Northern Great Plains Inventory and Monitoring Network of the National Park Service in the Black Hills Region for four years designing and conducting wildlife, plant and water monitoring survey protocols. An upland and big game hunter for more than 55 years, Wrede lives with his wife and family in Rapid City. Be back here in early November. How's Hillary From A South Dakotan's Perspective? Her Ambivalence On TPP Should Make Us Wonder. state like ours if elected to the Presidency. Actually, her proposals were a fairly representative laundry list of the kinds of initiatives that ag-producers would expect from a Democrat in the White House. Last August she was telling Iowans that 1) she wants stronger renewable fuel standards (read more bio-fuel subsidies and mandates), 2) intends to expand the Rural Business Investment Program 3) create a bank that would finance rural infrastructure investments, 4) double food promotion programs, 5) expand safety nets--and so on. Not to blow off this multi-part plan, but space does have its limits. Go to my link if you want more specifics, otherwise, you get the gist. It's an altogether impressive agenda, for sure, even though there isn't much in the way of an explanation as to how her administration would find the money to pay for all these promises. But, given that quasi-socialist Bernie Sanders (He calls himself a "democratic socialist," which to me seems like an effort to make him sound more socialist than Democrat or, from another perspective, more Democrat than socialist. That merits a big "huh? ", but that's the idea. If you're not already thoroughly confused, his rhetorical sleight-of-hand hasn't worked on you yet . . . give it time.) is giving her a good run for the Dem nomination, Clinton probably has to focus more on promises than delivery just now. All of which is okay, or at least par for the political course at this stage of the campaign, where candidates tend to run to the extremes during the primary and run more to the middle in the general. Only problem is, the Clinton campaign seems to ignore the most compelling reason that most producers would need to win their votes. Ag production is all about prices, and nowhere in the Clinton literature do I see much about ways to help farmers and livestock producers better prices for their goods. Considering that agriculture is by far the biggest component in South Dakota's economy, her thoughts on how to find ways of delivering better and more lucrative marketing opportunities to the ag industry aren't the entree of her appeal to rural Americans. I'm not sure they're even a side dish. Fact is, by backtracking spectacularly on her support for the farmer/rancher-friendly Trans-Pacific Partnership during the Democratic debate this week, Clinton actually antagonized the largest food production organizations in the country. away from her support for the trade agreement. By doing so, she has run afoul of some very powerful rural support groups, all of them strongly represented in South Dakota. Among them are The Farm Bureau, The American Feed Industry Association, the American Soybean Association, The International Dairy Foods Association, The National Cattlemen's Beef Association, The National Chicken Council--I mean the list goes on. We're talking about virtually every mainstream producer group in the country, along with many, many members in SD. These groups and their members have one thing in common: they all do well when American ag exports are strong. More relevant to South Dakota, our ag exports to China, which has expressed interest in becoming a key member of this agreement (after a long period of skepticism) have skyrocketed in the past decade, up 453% to nearly $900 million a year. To put it in some perspective, more than a third of South Dakota's soybeans are sold to China. TPP, by further lowering tariffs, would only make our state's production even more competitive in the growing and lucrative east Asian markets, where the Trans Pacific Partnership is focused. So even as I admire Clinton's aim to make day to day life better in states like South Dakota, her sudden waffling of support for TPP makes me wonder if she really cares or understands what drives our state's economy from the get-go: grain and livestock prices. She needs to explain to us why she's backing away from a deal that can only be good for the vast majority of South Dakota's farmers and ranchers. Ben Carson And His Fox News Bud Keith Ablow Are Now Claiming That Jews Did Not Actively Resist The Nazi Holocaust. This Is Bunk. Jews Resisted. Oh, Yes. Yes They Did. Like Sam Cooke, They "Don't Know Much About History"
admonished the victims of the Oregon community college massacre for not aggressively attacking their killer, he reached new heights of lunacy by disparaging WWII-era Jews for not being more active in their resistance to their Nazi overlords. Carson said that because Jews were disarmed by the Nazi government of Adolf Hitler they set themselves up for the holocaust that killed millions of them during the 1940s. Naturally, a wave of criticism was directed at Carson, who hasn't backed down and said that he's available to discuss this "in-depth" with anyone. That's cool, because I'd be happy to have an "in-depth" conversation with Carson on this topic, anytime. My old man was a prisoner at Dachau from 1942-1945 (He was a POW, having fought against Germany while serving in the Greek army, when he was shot and captured in Macedonia and eventually trucked to Munich to serve as a forced laborer, his encampment being adjacent to the infamous Jewish concentration camp at nearby Dachau. ), so I've got some history in my family about this horror, enough so that I'm often struck by the glibness and lack of information that ignoramuses like Carson--and now his ally at Fox News, Dr. Keith Ablow--purvey in pursuit of their beliefs about an armed citizenry being essential to the maintenance of a free society. resist the Nazi regime, he believes the Jews should have challenged the Nazi regime more. Given, as Ablow concedes, that their weren't enough guns to mount a serious revolt against the Nazis in the first place, and given that most Jews believed that they were being relocated for work reasons when those infamous trains came and really took them to the death camps, the actual amount of Jewish resistance to the Nazi government now seems quite significant. Among other efforts the Jewish "Baum Group" was a well-organized federation of young Jewish men and women who, from 1937-1942, disseminated anti-Nazi leaflets, organized demonstrations, and bombed, most notably, a Nazi propaganda exhibit in Berlin. 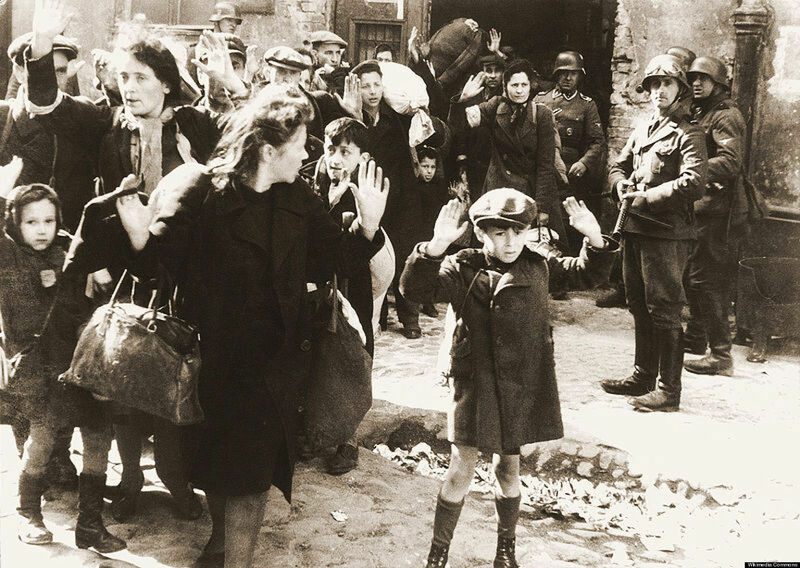 That last action resulted in mass arrests, executions, and reprisals against German Jews that were so severe it led to a debate within Jewish circles about the strategy of continuing violent resistance that ran the risk of murderous reprisals or being non-confrontational and maximizing the chances of survival. Outside of Germany itself, of course, there were legendary and bloody uprisings in Jewish communities in countries newly conquered by Nazi Germany. The one that occurred in the Warsaw ghetto in Poland in 1942 led to 300,000 Jews being killed on the spot or sent to death camps to die. Jews resisted. That they didn't do so forcefully enough to suit Carson and Ablow doesn't change the fact that they did--and that many, many died while doing so. Trying to use the horrid experience of the Nazi holocaust as a talking point to support gun ownership rights in the United States is a cheap stunt aimed at those who don't know much about History and are willing to buy anything told to them by figures that get face-time in the media. Care to make an "in-depth" response to this, Dr. Carson? My comments section is wide open and at your disposal. Same goes for you, Dr. Ablow. detached from reality in spheres that have nothing to do with medicine but everything to do with political leadership and executive management. Though he consistently polls a strong second among Republican aspirants for their party's presidential nomination, I've been pretty much ignoring him because he doesn't have a clue about government finance and pubic debt management. More on that in a bit, but after his comments about how he would have handled himself ("I would not just stand there and let him shoot me. I would say 'hey guys everybody attack him' ") during the community college massacre in Oregon a few days ago I realized that this serious contender for the Presidency of the United States is a lost cause. As one who has, ah (how do I put this mildly? ), soiled his undergarments while receiving fire on the battlefields of Vietnam I think I know something about reptilian fear. Carson's chest-thumping bragadoccio about how he would Rambo-ize himself and attack the shooter is laughable on the face of it, considering people simply can't possibly know how they'd react in a firefight. He might turn out to be the hero that he imagines himself to be, but Carson's assertions certainly come across as critical and victim-blaming when contrasted against the behavior of those dead people who didn't have the heroic gumption that he fancies himself as possessing. Not only are his remarks ignorant and insensitive, they're plain nutty. Carson Waxes Nostalgic For This? the world, the subsequent contraction of the global money supply would create a financial apocalypse. This man is nuts. From our agriculturally-dominated perspective here in South Dakota, a gold-backed money supply would be ruinous. This is what the great prairie populist William Jennings Bryan railed against more than a century ago when he condemned "the cross of gold" upon which mankind was being "crucified." Farmers depend on the liquidity created by modern monetary policy principles to keep money expanding in order to get decent prices for their crops and plenty of credit for working capital. South Dakota's commodity and natural resources-based economy would be hammerlocked if Carson's heavy-handed approach were applied to it. I give this guy a big "no thanks." I'll Be Interviewed Live Tonight On RapidFire Radio At 8:15 P.M. MDT. is likely to go anywhere. Catch the live podcast here. Memo To Petitioners In Rapid City: You Can Do Your Job Without Being A Pain. Memo To The Managers At Main Street Square: You Can Do Your Job Without Stifling Democracy. week (Sept 27, during the "Great Downtown Pumpkin Festival") when they kicked petition signature gatherers off the premises. Not only did they kick them out of the publicly-owned Square itself, they told the petitioners to scram from the sidewalk that is adjacent to, but not part of, the Square per se. According to the story in yesterday's Rapid City Journal, MSS contends that the sidewalk is within its event boundaries, so the non-profit group operating it for the City of Rapid City is well within its rights to "enforce a total ban on petition circulation during events." That seems way extreme to me. Maintaining public order is one thing, but a "total ban" on an essentially peaceful expressions of our country's democratic processes? Uhhh, no . . . I don't think so. For their parts, some of these petition gatherers can be obnoxious and aggressive, so to that extent they need to be reined in, but their activities are so integrated into the essence of what our country is all about that banishing them outright from crowd-drawing activities on public property is an affront to what we stand for. A "Total Ban" On This On Public Property? No Way. example, when it comes to the Black Hills, all of us are taxpayers who own them, and though we have different ideas about what should and should not be allowed there, I think we can live with a collective compromise that gives each special interest a chance to do its thing as long as the activity is lawful and doesn't damage the area. Same principle applies to Main Street Square. It's publicly owned and should be accessible to the entire public, including people who see it as a venue to advance their political causes. But an important part of that compromise, understanding, social contract--whatever you want to call it--means the general public doesn't have to be hassled as part of the deal. 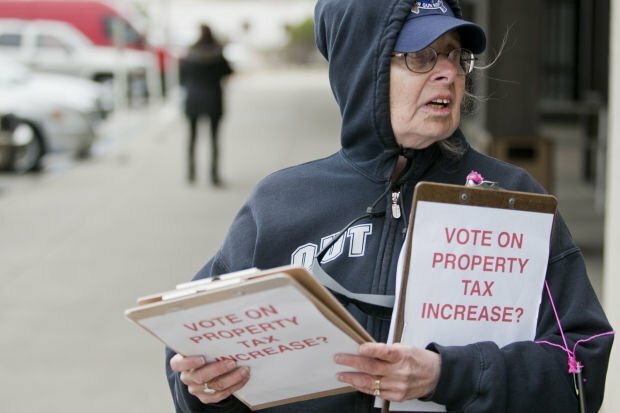 You want to be out there gathering signatures, fine--just don't get into my face and start haranguing me. I don't need it. I'd much prefer it if a piece of our jointly owned land were reserved for you to make yourself visible and available to those who have an interest in the cause you're pushing. Setting aside a section of the Square itself or a portion of the adjacent sidewalk seems a reasonable way of settling the issue. It would conform to the general operation of MSS, which has areas for vendors of commercial products. In this case the area would be reserved for vendors of political products, i.e., petitions. I would think the signature gatherers themselves would be better off because the end result would be an informed public, not an annoyed one. What!!?? A Company Wants To Build A Pipeline In SD But Won't Show Us Its Insurance Policies? They're Kidding, Right? Access wants to build an oil pipeline in eastern South Dakota that will be part of a longer line hauling North Dakota crude oil to southern Illinois. 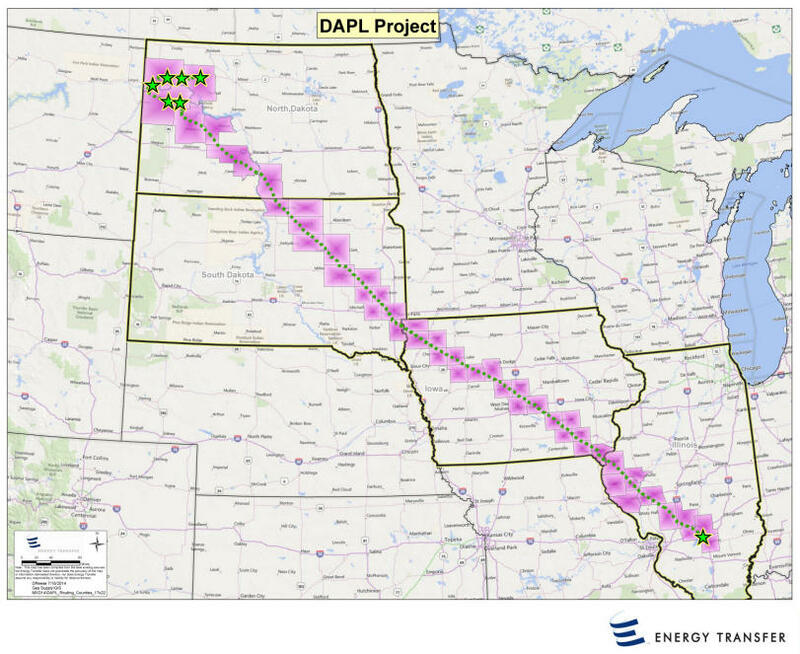 I'm sure it's mired in the predictable controversies that surround pipeline construction these days, with numerous issues being raised in its ongoing application hearings in front of South Dakota's Public Utilities Commission. Haven't really followed it much until I stumbled on to a story about it in Cory Heidelberger's blog Dakota Free Press, Cory is about as aghast as I am over the fact that Dakota Access doesn't want to let South Dakotans, who will live with pipeline for many decades hence, see the company's liability insurance policies. And not only will they not willingly provide the info, they'll "resist vigorously" a Sioux Falls lawyer's "request" to see those policies. I mean, is this nuts or is this nuts? 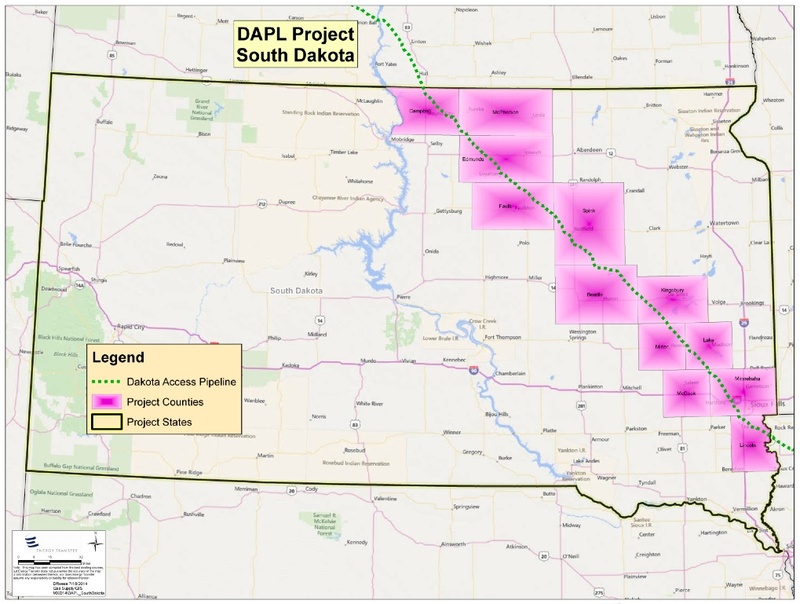 Dakota Access wants us to approve plans for a pipeline that will enter South Dakota through Campbell County in north central SD and exit through Lincoln County to the extreme southeast--we're talking hundreds of miles--without so much as a cursory glance at the company's insurance policies? And the grounds upon which company officials are rejecting the request? The documents are "very sensitive." saying no," that you're "saying no for a reason." Honestly, we understand. But you know what? Tough cookies. It's the city of Sioux Falls, near which your pipeline will pass, that made the request to the PUC, get it? A couple of hundred thousand South Dakotans concentrated in and around Sioux Falls want to know what kinds of back-up you have should there be an accident. That you seem to be unwilling to accede to a request as simple and reasonable as that makes me wonder about your company and its lack of upfrontness with the people you'll be affecting with this project. Transparency is obviously an irrelevant aspect of this application process from your perspective, Dakota Access, but that makes it no less mandatory a requirement before we residents of South Dakota give you permission to move ahead. My only quibble with the dialogue surrounding the story is the use of the word "request." I think it should be changed to "demand."